Ebolapocalypse has dominated the media for several weeks now eclipsing other stories about ISIS, the Midterm Elections, or the explosion at an Iranian nuclear facility. The Ebola scare is newsworthy, but the facts of the matter show it’s an African crisis not a world crisis. We should be alert, not alarmed. We can learn about ourselves and our politics through the Ebola scare but first we need to settle the noise so we can hear the voice of reason. 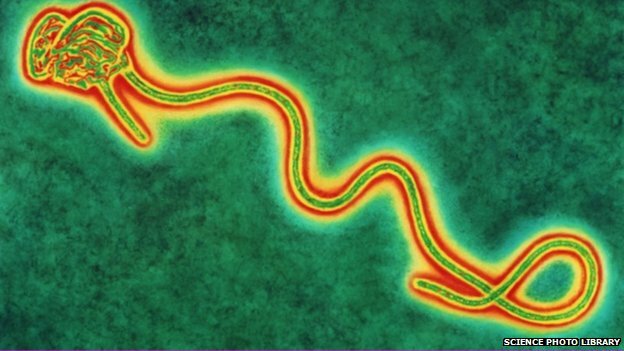 From what we know so far, Ebola is not very contagious. It doesn’t seem to be airborne. Nor does it transfer by casual contact. The two nurses who acquired it from Thomas Duncan had extensive contact with him and his fluids (i.e., “soiled linens piled to the ceiling”) while he was highly symptomatic and they had been using shoddy protective measures while treating him. Both nurses are now in quarantine at specialized hospitals receiving treatment from a world-class team of doctors. Thomas Duncan was not diagnosed till the late stages of the disease and has passed away. Hospitals took some time to adjust, but now awareness has been raised, the CDC and NIH are now giving the situation a high level of attention, and while we do need to be careful, be smart, and be prepared, we don’t need to riot in the streets about Ebolapocalypse. There may be a handful of new Ebola victims over the next few weeks in the United States. But we have no great reason to think this number will skyrocket in the U.S. because the disease seems to be contagious only when patients are symptomatic. Admittedly, “symptomatic” is a gray area which includes 99.5 degree fever and sniffles, or it could be bleeding from the eyes and projectile vomiting. The people at serious risk have had extensive contact with victims or who are that unusual case of transferring fluids accidentally by sneezing in someone’s face or sexual contact. Meanwhile, fellow plane passengers or elementary classmates (of Duncan’s children) are at a very low risk. So what is the suitable response? Be alert, not alarmed. Here is where your worldview and politics factor in. If you prize safety far above liberty, and if you have a pretty low view of the masses, thinking that people cannot generally take care of themselves, are pretty helpless regarding policing themselves or their neighborhoods, or that low-grade public health risks are just cause for high-grade intrusions on personal freedom then you may be one of the people crying out to ban air-travel through Dallas, close the public schools, and evacuate the victims neighborhoods. You would also be showing a stereotypically liberal bias, favoring federal policy answers where state/community level answers might work better. Perhaps if the health risks were far greater, such as the Black Plague or chemical warfare, then even conservatives might agree with this sentiment. The austerity of solutions must suit the severity of the problem. But when only three U.S. victims are known, and all of them had close contact with contaminated body fluids, we aren’t in that crisis stage yet. And we don’t have cause for crushing the free enterprise of tens of thousands of people. Conservatives are leery of the nanny state, sometimes to a fault. But in this case, as with any potential crisis, conservatives should beware of excesses even as they support responsible public action respecting individual liberties, and supporting the rule of law. In all that, one need not give ground to progressives who “never let a crisis go to waste.” Lurking in the Ebola scare is an opportunity for federal overreach in the form of open-ended regulations for local hospitals, for CDC expansion (a federal agency), for federally controlled air-travel, or for the federal intrusion into on most any sector where people might interact. It would be only a muted victory to contain the Ebola outbreak in ways that press the federal government deeper and deeper into the private sector, making for harder and harder extraction later. Ebola is not the only epidemic worrying conservatives. What is a conservative answer to Ebola? Suit the answer to the problem without catering to liberal agenda items. Liberals and conservatives probably agree on the same basic actions: quarantine victims, educate hospitals staff and communities, use HAZMAT teams at contamination sites, equip danger zones with protective gear, perhaps restrict air-travel to stricken countries, etc. The disagreement arises over how to accomplish these. Conservatives admit a role for federal government, often as a necessary evil, but give preference to local initiatives where possible such as public awareness campaigns, non-profits and churches, and individual efforts. These would include educational efforts through social networking, seminars, charitable giving, etc. Cities should be ready to use local cleaners, local clinics, and local hospitals—using “rainy day” funds to pay for these where possible. Whenever large-scale methods are suggested, however, conservatives especially should consider the consequences. Most every safety policy infringes on liberty. Sometimes the tradeoff is worth it, sometimes it’s not. A travel ban for Dallas would cost millions in revenue, harm local and state economy, undercut exports like fossil fuels, potentially raising costs nationwide while stalling Texas growth. Now if we were talking about a Zombie apocalypse, then those costs might be justified. But the actual threat of Ebola, suggests a Dallas travel ban would be more harmful than helpful. That would be a punishing blow to a largely republican state invariably hampering republican incumbents in the upcoming midterm elections. Liberals might like that idea, but not necessarily for safety reasons. We should be cautious and alert, recognizing real threats, evaluating options, and weighing the costs and benefits of our actions. Life will go on after Ebola dies down and it is for that future that we must also plan. Each of us can do our part to be smart and avoid transmission so we don’t need the Nanny State to do it for us.